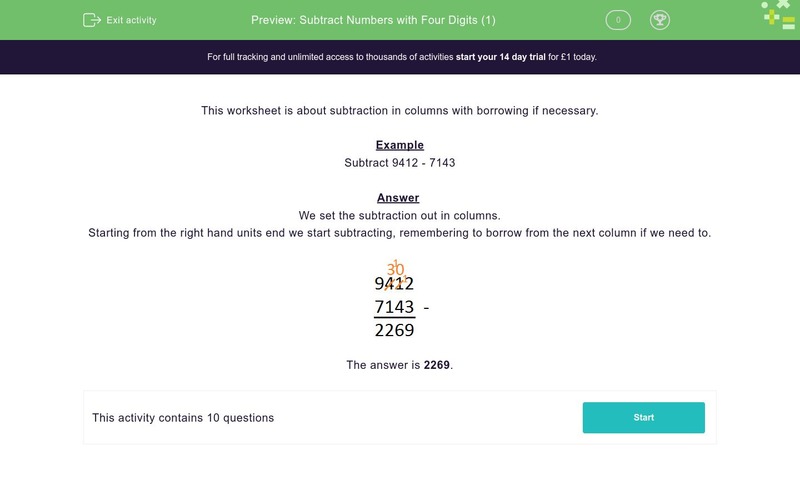 In this worksheet, students subtract numbers with four digits in columns with borrowing if necessary. This worksheet is about subtraction in columns with borrowing if necessary. We set the subtraction out in columns. Starting from the right hand units end we start subtracting, remembering to borrow from the next column if we need to.